The morning of a much-anticipated trip is always the best. 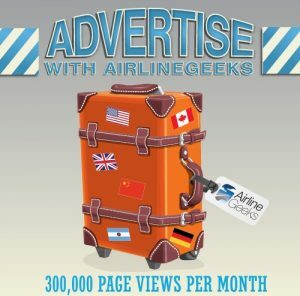 Anticipation is at its zenith, excitement is at full throttle, and all an avgeek like myself can do is countdown the minutes until it is time to leave for the airport. Of course, this morning was the whole reason I came across the country to San Francisco in the first place. 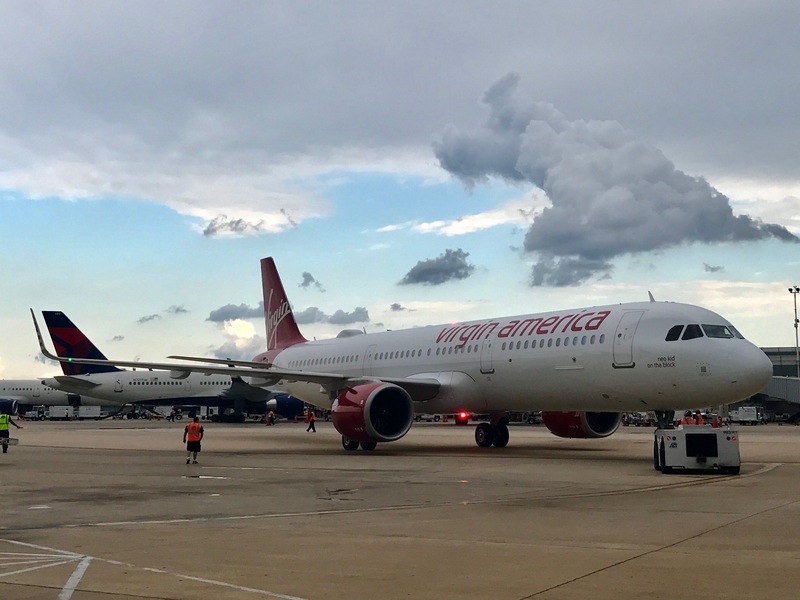 Virgin America would become the world’s first Airbus A321neo operator, and I had a window seat to experience it all. Fortunately, the flight was scheduled for 8:00 a.m. local time. I did not have to wait very long until it was time to make my way to San Francisco International Airport. My girlfriend, Gabby, and I were up at 5:00 a.m. and planned to take a 5:45 a.m. shuttle from the Doubletree Hotel by Hilton in Burlingame to SFO, getting there around 6:00. We said farewell to my friend Jason, who accompanied us on this trip out West (he would later fly AS SFO-PDX-PHL), and made our way downstairs, where once again, the luxurious hotel shuttle fitted with leather seats awaited us. The ride to SFO lasted little more than ten minutes and we found ourselves outside of Terminal 2. 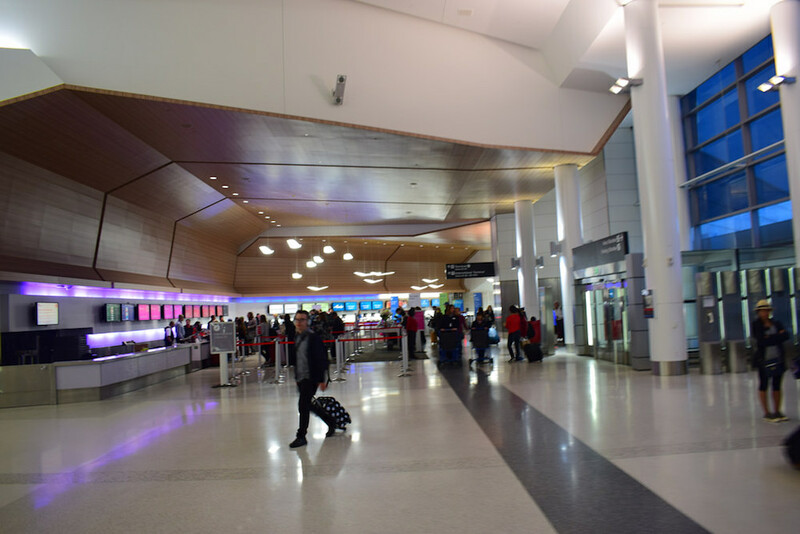 We made our way into Terminal 2 and towards the mood-lit Virgin America check-in desks. Alaska Airlines, which has been in the process of moving over from the international terminal, neighbors their new partner with their own form of mood-lighting. A Virgin America team member greeted us and complimented my shirt with the Virgin ‘tail’ logo (also frequently used by VS and Virgin Atlantic), and directed us to the check-in line. Despite having already checked in and having my mobile boarding pass, nothing really compares to that red bordered boarding pass. 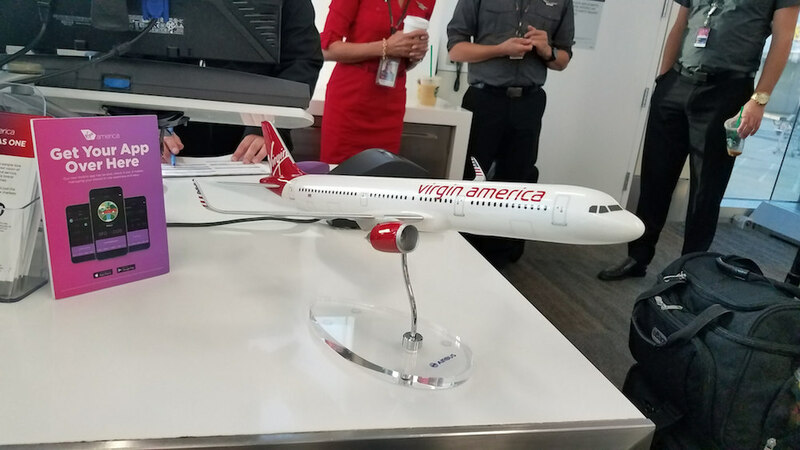 There was a unique feeling I sensed from the Virgin America check-in staff. I wondered if it was because of the important event that would soon take place. Boarding passes in hands, we proceeded to security, where there was not a lot of congestion. We were through the checkpoint in less than ten minutes. 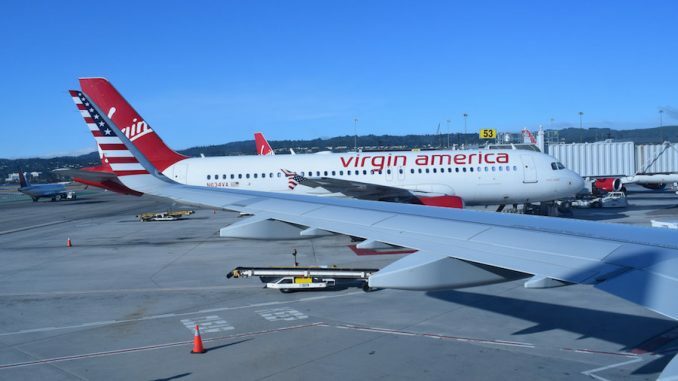 Virgin America and Alaska Airlines share this terminal with only one other main tenant – American Airlines. 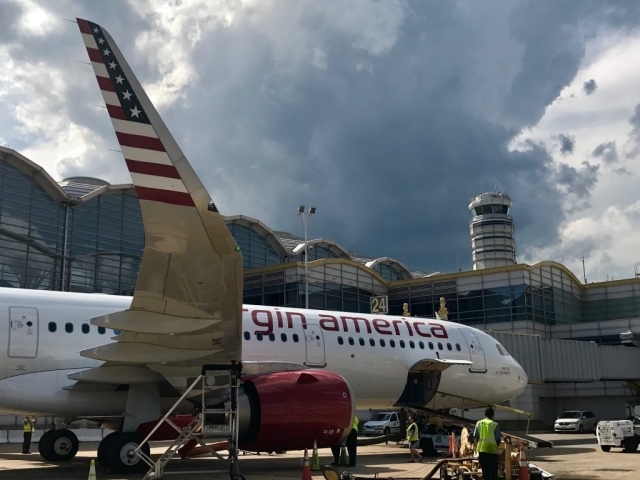 It is easy to spot the Virgin half from the American Airlines half because even the gate signs are lit up with a purple light. Our aircraft, registered N921VA and affectionately named “neo kid on the block,” was towed in shortly after. The shutters of a dozen cameras along the windows in Terminal 2 clicked off simultaneously as the aircraft that would be performing today’s flight arrived. 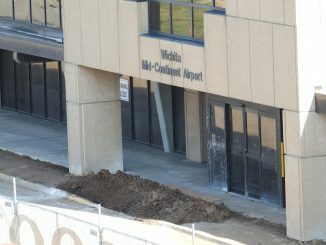 At the gate area, crew members began setting up decorations for the inaugural service. 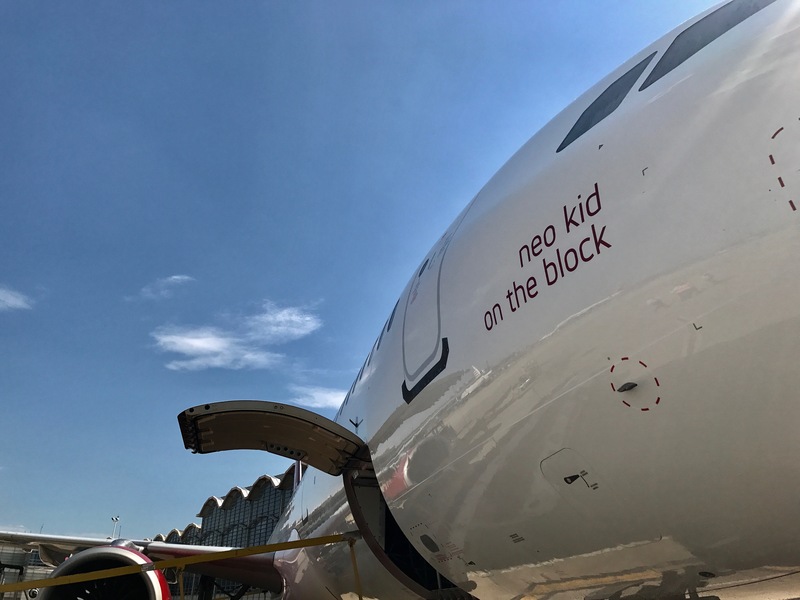 These decorations included a sign encouraging passengers to “Meet the Neo Kid on the Block,” as well as messages on the gate information screens, and even a model of the aircraft that would be performing today’s service. The gate agents made a few announcements informing the passengers of today’s unique occasion. 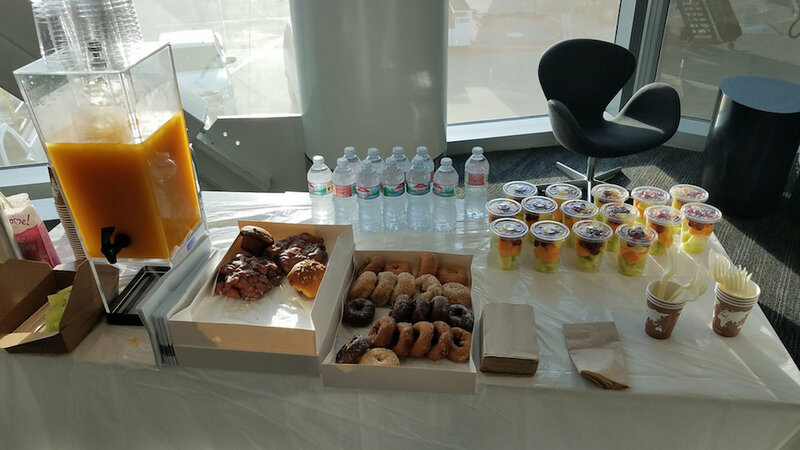 As a result of today’s inaugural service, they invited guests to enjoy complimentary refreshments that included bottles of water, orange juice, coffee, fruit cups, donuts, and apple fritters. 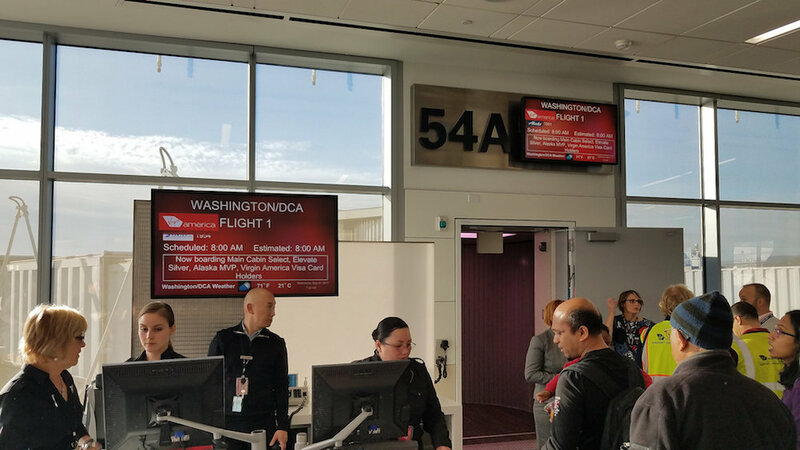 I returned to gate 54A shortly after, where they had just announced that boarding was about to begin for the new Airbus A321neo, starting with first class guests, followed by members of our armed forces, and then pre-boarding for those with small children and those requiring special assistance. Shortly after 7:25 a.m., they announced that they would begin general boarding, so we hopped right in line. 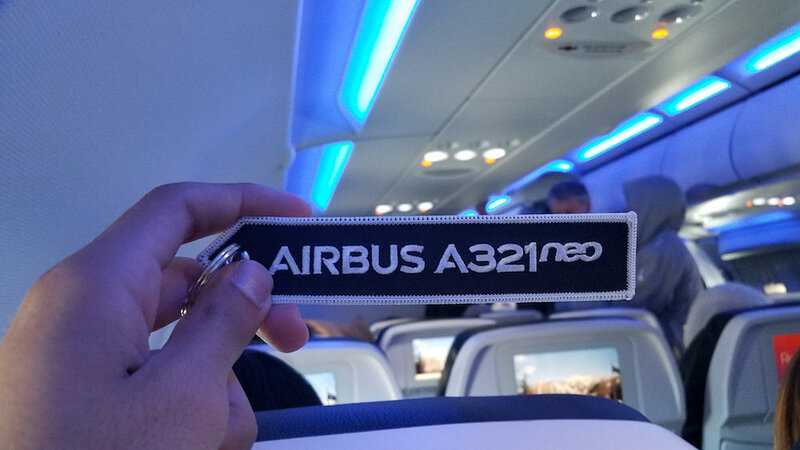 A resounding “ding” meant I was allowed to board the first Airbus A321neo service in the world. Virgin America team members standing by the gate joyfully handed out little tags with the Virgin America logo on one side, and the Airbus A321neo logo on the other. I settled down in seat 25A and noticed how shiny the seat belt was as well as the overall cleanliness of the airplane. 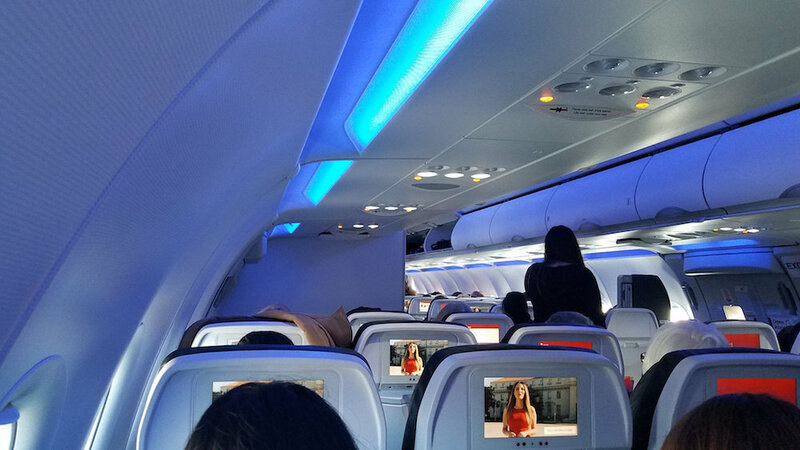 The mood lighting was more of a bluish hue than the traditional purple and pink as found on the airline’s A319 and A320 aircraft, leading one to wonder if it was blue for Airbus, or blue for Alaska Airlines? 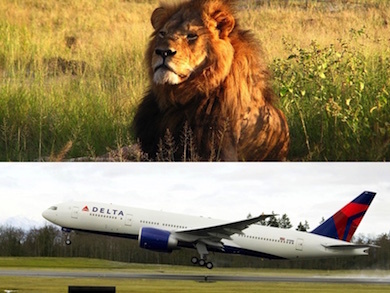 Nonetheless, it was similar to the mood lighting found on Delta Air Lines’ Airbus A321 aircraft as well. The calm electronic music played ambiently as passengers boarded. We pushed back at exactly 8:00 a.m. as the iconic #VXsafetydance video played on the screens in front of us. I was curious to see how they would explain the safety features of the new A321 as this video was created way before the aircraft was even ordered. As in typical Virgin fashion, they incorporated it flawlessly and the average person wouldn’t see anything different. 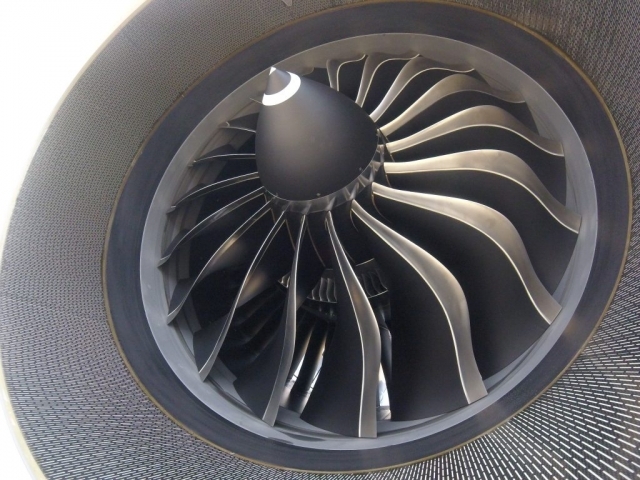 The CFM LEAP-1A engines hummed to life creating a musical symphony to an avgeek’s ears. Even the flaps sounded different as they were lowered to takeoff configuration. We proceeded to runway 1R at SFO, where we followed a company A320 going to EWR. After our friends at Redwood 174 (which was being operated today by N836VA) were airborne, we taxied into position and held for a few brief moments. Then, a subtle hum reverberated throughout the cabin, as the pilots slowly applied takeoff thrust. We “leaped” off Runway 1R and maintained runway heading briefly before turning to a more eastward direction. 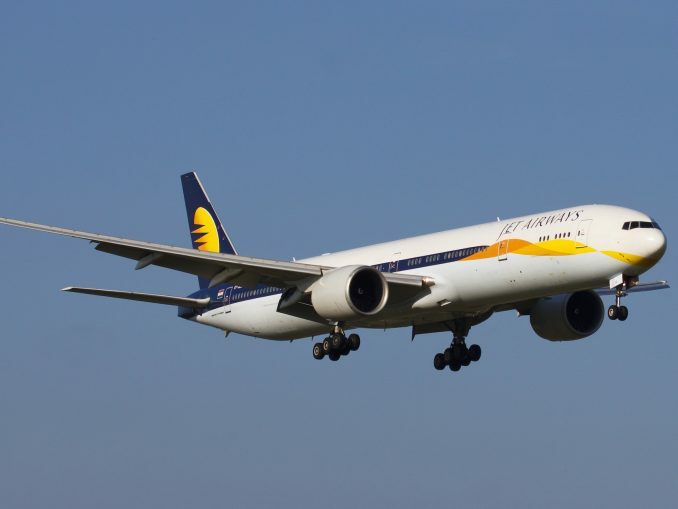 Our aircraft climbed to an altitude of 37,000 feet and maintained around 550kts, while the outside air temperature remained around -67 degrees Fahrenheit. 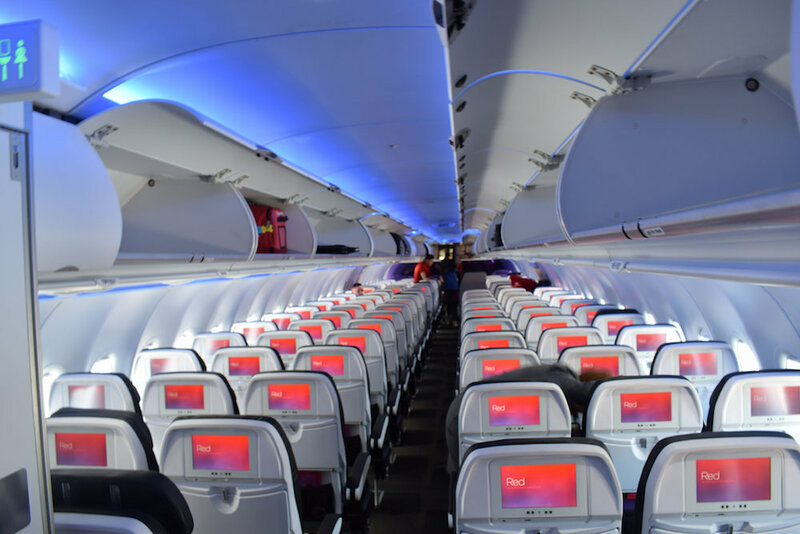 As is the standard on all Virgin aircraft, the USB ports and power outlets remain and in fact, better located on the A321. Also, the moving map was slightly wrong in that it initially reported our flight as being DEN-SFO, and then SFO-DCA but as VX221. 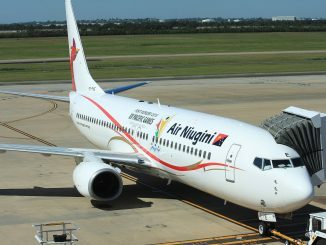 Nonetheless, I was happy to see that the little airplane on the map had been updated to reflect our larger A321 aircraft. The seat itself had almost no major differences. 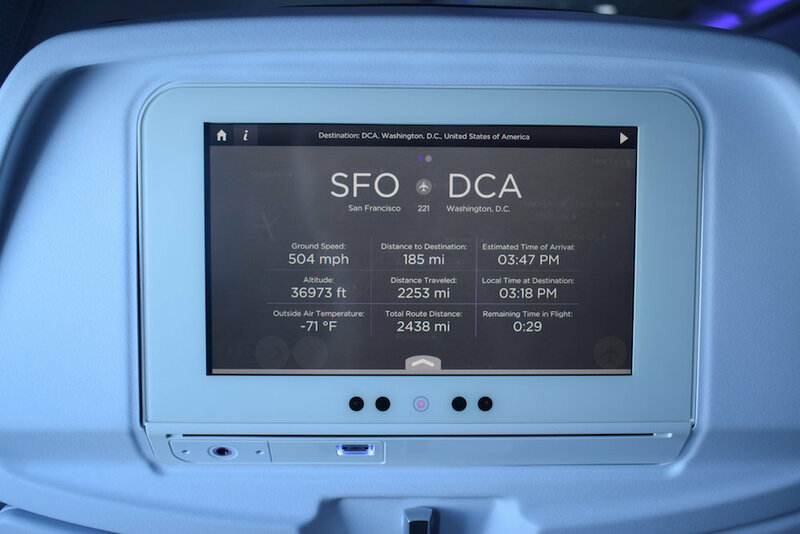 The main differences are that the IFE screen is less bulky, and more “built in” to the seat in front, very similar to those on jetBlue and Delta. The other major difference is that the remote controller is no longer built into the middle of the armrest, but is rather on the inside. Other than those minor changes, everything remains the same for the standard main cabin seat, and comfort remains identical to that on the A319/A320 aircraft. First class seats also got a similar update, with the seat controls being less bulky. 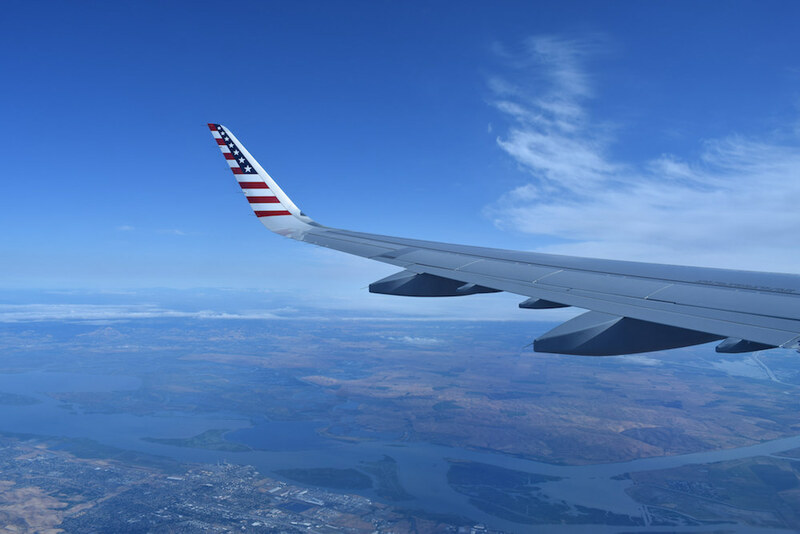 As we passed over the ever-changing American landscape below us, I used the unique feature to order snacks and beverages on Red, as well as an amenity kit. I enjoyed a glass of the house bubbly to celebrate the occasion. The Prossecco was very delicious and felt like the perfect beverage to enjoy on an important day in aviation. The inflight mood-lighting was the same setting as they use on the A319/320 aircraft. We started cloud surfing and finally saw ground just as we were passing over Washington Dulles International Airport (IAD). 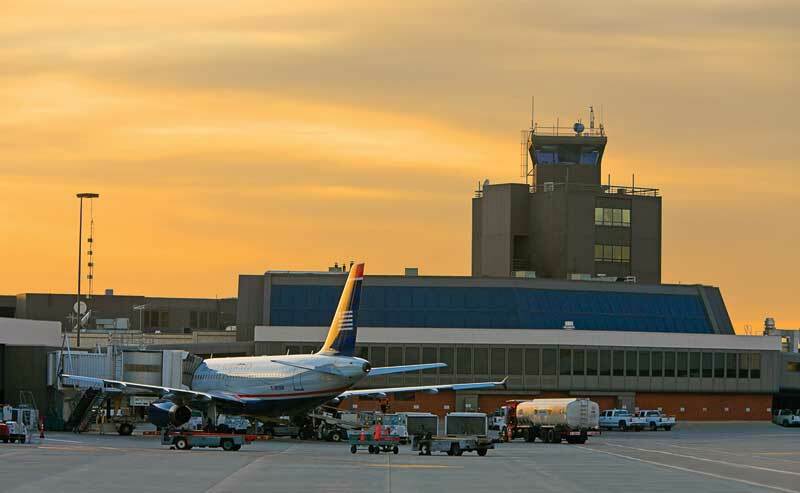 I could see all of the terminals, as well as some aircraft departing and arriving. As we made a series of turns to avoid nearby air traffic, we continued on a mostly direct course for DCA. 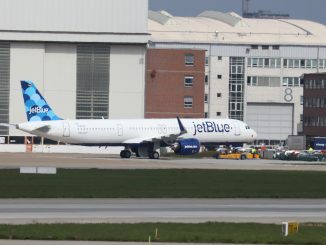 The inaugural Airbus A321neo service was completed. Our lead flight attendant welcomed us to Washington D.C., where the local time was now 3:54 p.m. Eastern time, and encouraged us to look out the window for the water cannon salute. 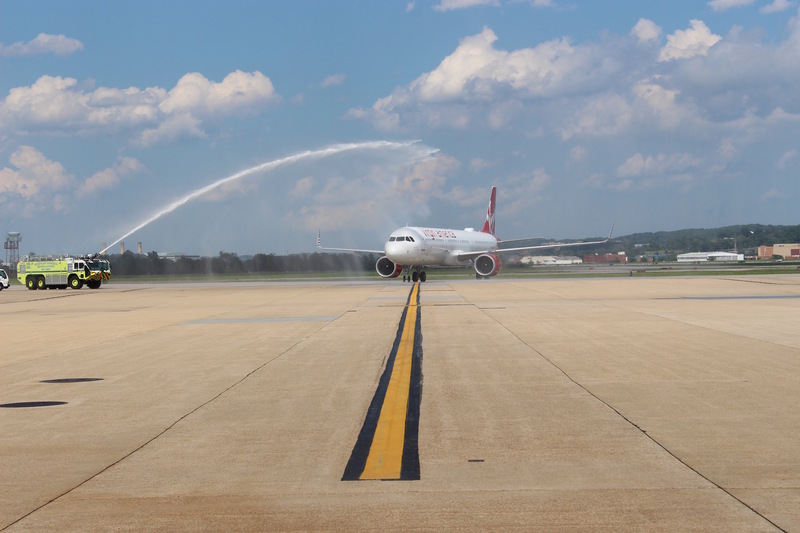 Sure enough, as we entered the ramp area, fire engines on both sides of our aircraft created that arch of water that signifies nearly every important event in the aviation world. We pulled into gate 24 at Terminal C shortly after. 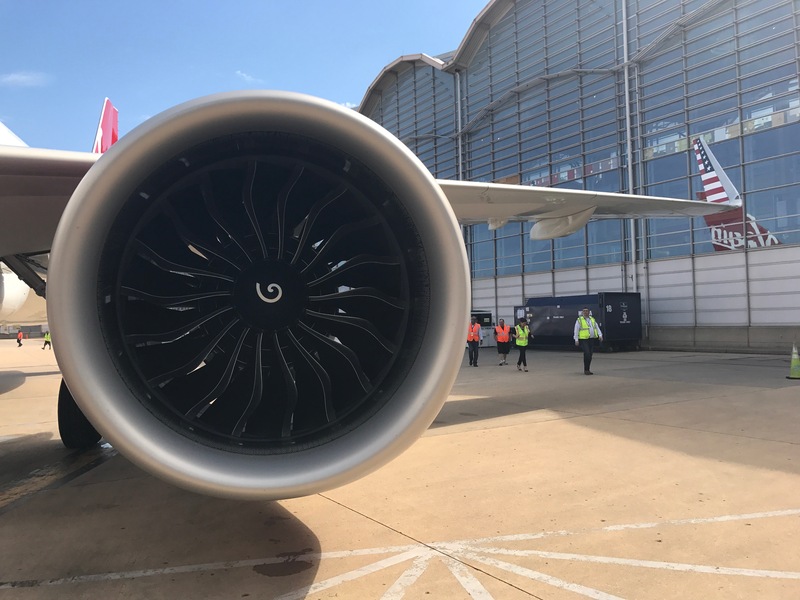 Whether or not the Airbus A321neo lives up to its performance standards, we will have to wait and see. 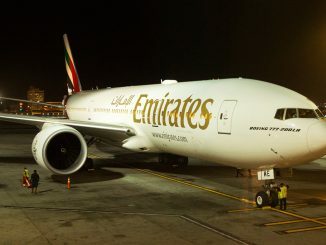 But I certainly noticed the much quieter cabin, especially after takeoff and during cruise. The loudest thing I heard was only the wind rushing past outside. 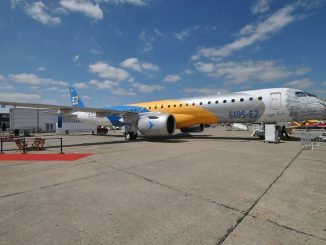 Hopefully, the airplane exceeds performance expectations, and we see this aircraft stick around, perhaps in even larger numbers within the combined carrier’s fleet in the future.